The system passed it’s ultimate test, we found it hard to switch it off at the end of the show. Three great days that ‘busted’ the myth once and for all, ‘it’s the room what done it’. Even up to 3 or 4 years ago we thought that the room was a major influence on the sound that a system produced, and definitely a limiting factor on the size of system you could successfully use in a smaller room. This, with the exception of easily identifiable unusually designed rooms, is definitely not the case. We had the advantage of superb components, a system provided by The AudioWorks, but this in itself is a double edged sword – superb components generate energy, and uncontrolled energy is the ‘room problem’. The response to the music we were reproducing in a small hotel bedroom was widely praised. 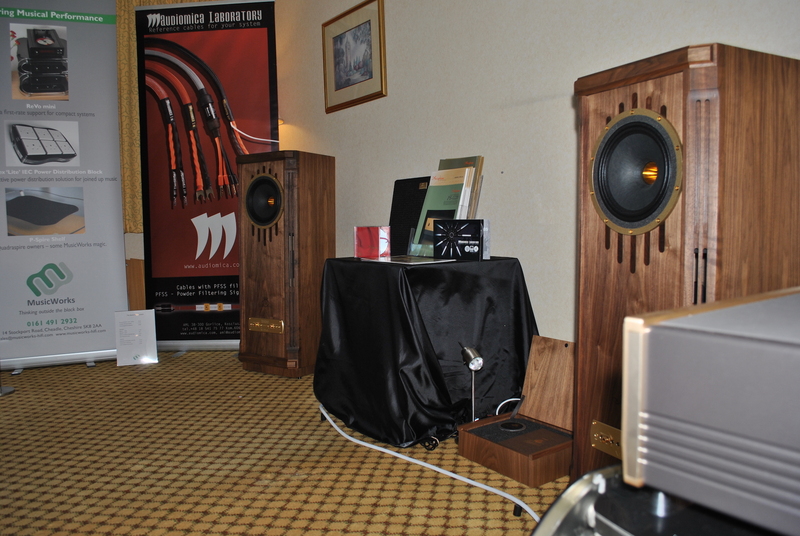 Of course a common reaction was, ‘those are great speakers’ (which of course the Tannoy Kensingtons are) but we had the opportunity to demonstrate that everything, including a set of isolation cones, was playing its part.